Building a new home? Arrange a Free Onsite Ideas Meeting. After 15 years in the custom building industry I am yet to meet anyone whose brief isn’t bigger than their building budget. It is human nature to want far more than you wish to pay for. 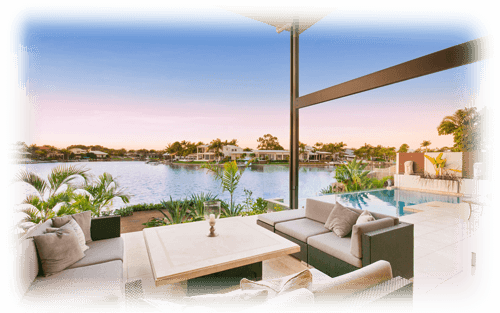 However don’t despair; your custom builder is there to help you build smarter. The usual assumption is that if your homesite isn’t level, you can expect the cost of earthworks for benching and retaining to be steep. 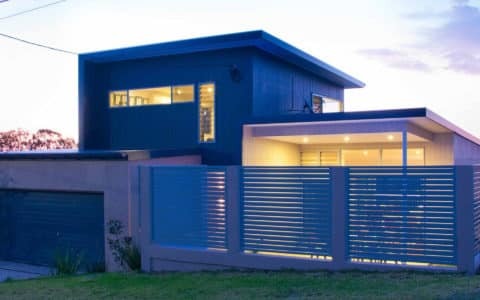 However, over the years as a builder working closely with architects to create beautiful homes, I know there is often a much smarter solution. Instead of benching and retaining being the default design solution, site costs can be minimised by clever design. This includes things like working with the contours of your land, and having the long access of your home parallel to the contour lines. 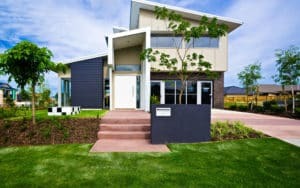 Not only can this significantly reduce building costs, but it can also mean that your finished home is fully integrated with the land, creating an appealing, highly liveable home. The size of your new home should be the first thing to question. The houses we build have got bigger and bigger over the last 20 years and for what? More to clean? More to maintain? 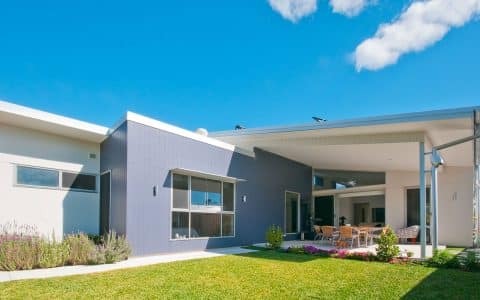 Thankfully there is a real trend today to reduce the overall size of the average house plan. These days, it’s quality not quantity. Whilst no room should ever be pokey, smaller homes generally mean fewer dollars. 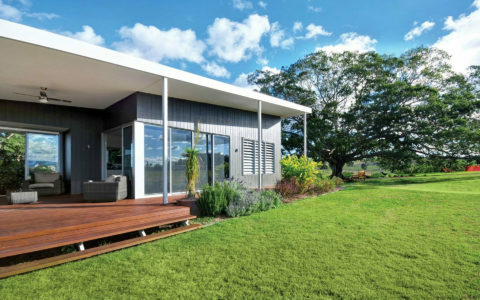 Clever design can achieve a better, more liveable home, from a much smaller footprint. 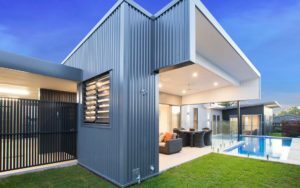 As every house builder knows, fittings and fixtures can add hundreds of dollars per square metre. For example tiled flooring as opposed to timber flooring could save $100 per m2 or more. 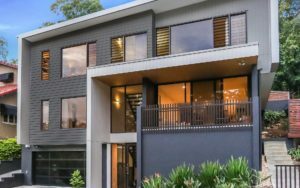 Your custom home builder should be able to take you through the myriad of inclusions and options, and provide sound advice on what products are tried and tested, and therefore represent good value for money. 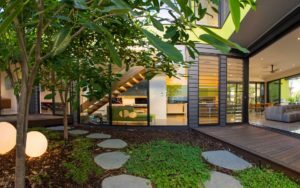 The design of your home should really be non-negotiable as smart, sustainable house design is what makes your home perform. Things like living to the North, good air flow and the ergonomics of the floor plan should never be compromised. Complexity of design for the sake of aesthetics can be a budget killer. In summary some of the extra costs of building are unavoidable, especially site costs. However a good project manager should foresee most of these costs and apportion enough of the budget for them. 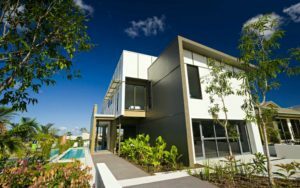 As an experienced Brisbane builder, we strongly advise you to get the design right and don’t get caught up in the size. If it has all the rooms you need and those rooms are the space you want, the overall size is irrelevant. From there, fit out the home to the level your budget allows. If compromises are made here, most can easily be changed or upgraded over time, however it is a lot harder to fix a poorly designed home. Civic Steel Homes has a range of display and demonstration homes which you can view. To make an appointment to view these, please call us today on 07-3714 5900. Alternately, to arrange a FREE Onsite Ideas Meeting, simply click here. Our 85-page full colour magazine showcases 24 examples of what has been achieved by like-minded new home buyers. We hold 4 to 5 Open Home events each year to showcase completed projects in key locations - by appointment only. 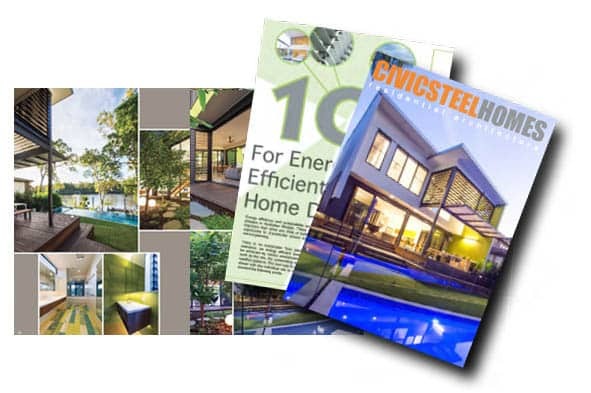 Copyright @2017 Civic Steel Homes PTY LTD.
Website design by e-marketing | intelligent marketing that www.works! Fill out the form below and we’ll be in touch to arrange a convenient day and time for our project managers to give you a free design briefing. Get your Free Copy of our Multi Award Winning Designs in over 84 full colour pages!